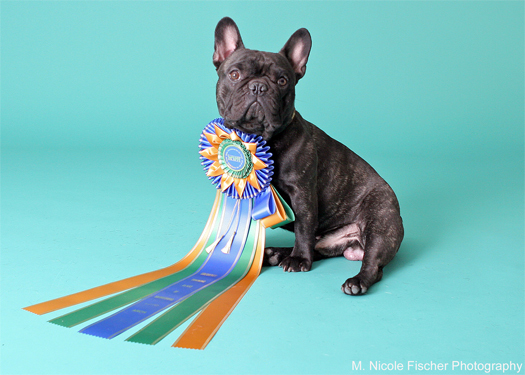 Soren overcame the challenges of his breed to become the first French Bulldog ever to win a Master Agility Championship. 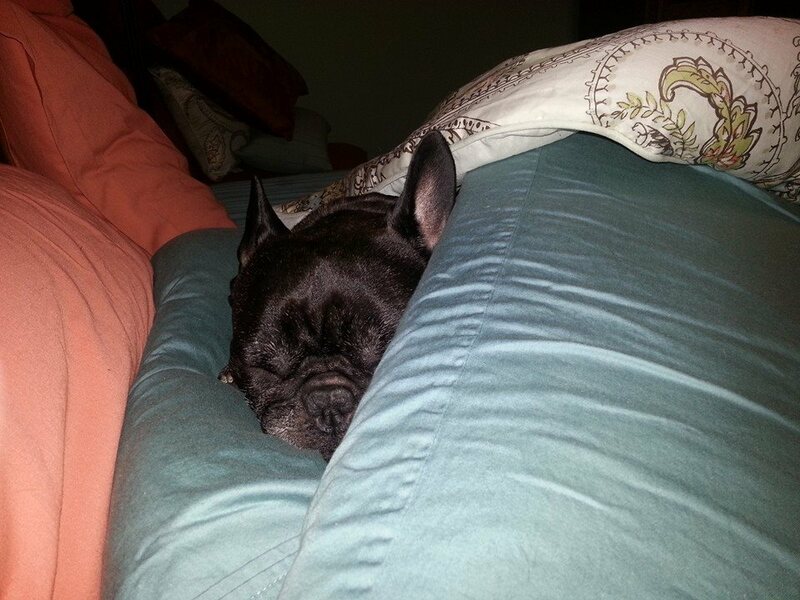 He was the first Frenchie to qualify for and compete at AKC National Agility Championships. He earned over one hundred performance titles and was ranked nationally among top agility dogs. Soren competing at the AKC National Agility Championships in 2011. He was the first French Bulldog to qualify for and compete in this event. While there were dogs that could negotiate an agility course faster, few could do so more consistently or looked cuter doing so than Soren, who chugged around the course, always with a big grin, as fast as his short, little legs could carry him. Soren was a crowd favorite at the 1st Annual Masters Agility Championship at Westminster. Look at all the smiling faces. Soren was a loving, devoted, comical character with a joy for life. He won friends wherever he went with his kind, gentle nature, almost-human sense of humor and—most of all—his “can do” attitude. He inspired many less conventional agility teams over the years to believe in themselves. Through his book, Soaring Soren: When French Bulldogs Fly, his story will continue to inspire and serve as a reminder to children to never be discouraged by the opinions of others, but to believe in their abilities and focus on their dreams. See photos of Soren as well as illustrations from the book, and watch clips of Soren actually running agility. Check out this wonderful article in Dogster Magazine about Soren! Soren, registered name Daulokke's Une Valiant Grosse, was bred by Tove Rasmussen in Denmark, and was co-owned with and loved by Suzanne Orban-Stagle and Ron Readmond of JustUs Dogs. Deb and Soren could never thank them enough for their support, friendship and for making their journey together possible.